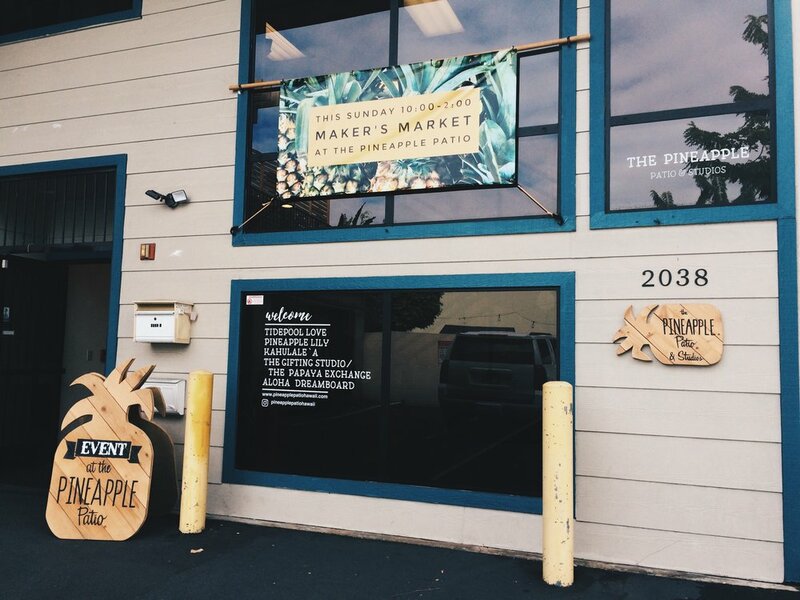 Come join Life Design coach Tiare Thomas for a free consultation during Pineapple Patio’s monthly Markers Market. Throughout the market, take the opportunity to “Ask the Dream Coach” anything you would like to know - from asking advice about love, which career path to take on next to even simply learning more about what kind of services Aloha Dreamboard offers clients! 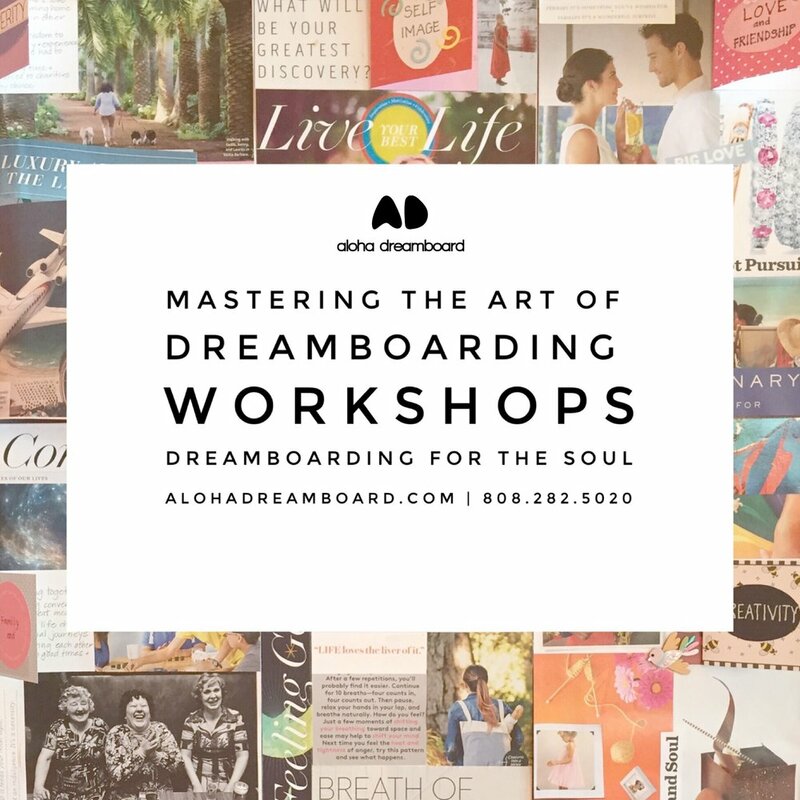 Attend the market and sign up for your free consultation with Aloha Dreamboard from 10-2 with the opportunity to get 10% off your next purchase towards manifesting your dream life. Have you been fantasizing about your ultimate dream home lately, fantasizing of living in a beach home with the sunset view or a safari home with a waterfall view? Let’s get together to finalize your plan in designing your dream home! Join Life Design Coach Tiare Thomas as she guides you through intentional visualizations and feng shui to create a dreamboard to create your desired living space. We have designed a special and full day of Manifesting just for you. To begin your experience, Maile has put together a beautiful arrangement of manifesting through essential oils activities with you. Then enjoy a lovely lunch with your self care leaders and like minded women on the Patio of Pineapple Patio. After lunch, Tiare will lead you in a light guided meditation and share life long collection of dreamboarding and manifesting tips and talk about what to do after you've created your dreamboard. And to end the evening, Emma will join us to lead you in a crystal bowl sound healing to activate and charge your dreams. Join like minded women as we polish away layers of ourselves to create space within our bodies, minds and souls in a Soul Cleanse Ceremony, including a luxurious chocolate body scrub in the sea. It is in this spaciousness that we can then drop into our heart space and ask our soul, our true self what is next. What does our soul want to express through us in this journey of life? We are honored to welcome Andrea Berset, founder of ZENZIVA and Alchemist from Haiku, Maui. She will be leading us in a SOUL CLEANSE to create more opportunities for our community of women to connect and support each other. The chocolate body scrub that Andrea has designed and formulates on Maui is much more than just skin care. She calls it luxurious skin food and beyond it being absolutely incredible at making your skin glow it is also a powerful catalyst for encouraging deep self love and acceptance. Have you been meaning to create a vision board and just don’t know where to start? Did you already make one or even a dozen in the past and yet you feel the need for more guidance, to have more of a structured experience, or feel like you’re ready to take your dreamboarding skills to the next level? Maybe you’ve mastered your manifesting basics like, always scoring a perfect parking stall, but there are still bigger things on your dreamboard that haven’t manifested, YET, and you just don’t know why and what you are doing “wrong”. Our Clarity Retreat Series focuses on purposeful self care by helping you to develop a new vision of the life you wish to have.